This is my update from February. 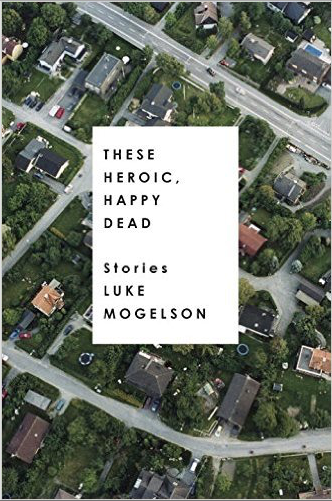 “Total Solar” appeared in the New Yorker earlier this year, inspiring me to mark the calendar for the release of the first published collection of Luke Mogelson’s stories. I ordered it but didn’t read right away. This summer I’ve stubbornly stuck to short fiction’s best of breed, the tried and true Hemingway’s Finca Vigia Collection. Then I took a break and stepped back briefly into modern writers’ time. I’m glad, for it’s quality stuff. I figured I would fly through Mogelson’s book but his stories have a richness and layering of intent that makes a reader slow down, even go back and re-read, which in my view is a sign of a well-done short story: one that asks to be re-examined. Mogelson is not hesitant to deliver narrative in strings of expository sentences rather than scene. He can do both, and he can cut the fat and expose the iceberg with the best of them. Were they all war stories? No, not completely. Two vivid accounts from the conflicts in Afghanistan and Iraq are “Kids” and “Total Solar.” The latter is exemplary in construction. Other stories involve veterans struggling to find their way with physical disabilities or mental disorders. I got the impression that perhaps the author was at times channeling Hemingway’s “A Soldier Home” which doesn’t describe war at all but instead focuses on its personal aftermath. These are not cheerful stories. “The Port is Near” was gloomy too but had some humor, and we half-expected to see a happier ending to this one. The protagonist’s only direct allusion to service is a 9-11 reference describing when he lived in San Francisco “before they attacked us and I volunteered.” The rest is about his post-tour job aboard a net-fishing boat with a psycho captain (jobs for vets are hard to come by, that implies). Mogelson delivers an engrossing sea adventure scaled to short story size. Being on the fishing boat is in itself a battle of sorts and one that also ends with madness and loss. Posted in booknotes on July 20, 2016 by Wm P.